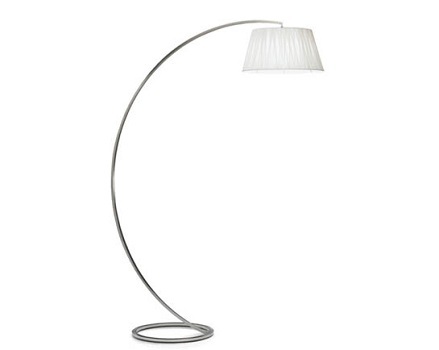 Arched floor lamp. Extremely modern design. The nickel structure makes it extremely harmonious and well-matched to all different furnishing styles, as it preserves a great aesthetic lightness despite the very important dimensions. Available with a conical white silk shantung lampshade, or alternatively in beige strip.